This stand-alone slasher flick from Bob and Harvey Weinstein (the first Miramax film production) rivals the best of the Friday the 13th fare. The requisite nubile flesh and gory kill scenes are here, but the teen protagonists are more likable than usual and the film creates a genuinely creepy atmosphere throughout. 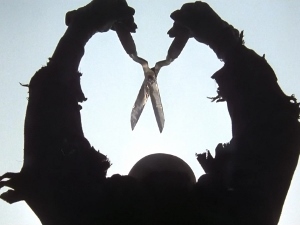 With its lakeside camp setting and deformed villain, The Burning isn’t going to win any originality contests, but of all the slasher films I’ve ever seen, this is one of the most effective. Look for Jason Alexander (Seinfeld) and Fisher Stevens (Short Circuit) among the dispensable teenagers.